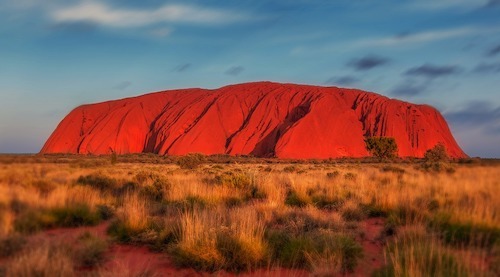 Note 1: The Act in the Northern Territory Australia does not operate in the manner prescribed for the security of payment acts in NSW, Queensland, Australia Capital Territory, Victoria, Tasmania or South Australia. Those acts are based on the ‘Australian Model’ where as the Northern Territory Act is based on the ‘United Kingdom Model’. The Act covers ‘Construction Work’ which is basically all building and related trades, if you are a tradesman or a builder, the Act is there for you to get your money. The Act also covers ‘Construction related goods and services’, if you are a supplier (such as a wholesaler or equipment hirer) or person who provides services (such as a designer) the Act is there for you to get your money. (g) any work that is prescribed by regulations to be construction work for the purposes of this Act. (d) goods prescribed by the regulations to be related to construction work for the purposes of this Act. b) services that are provided by a profession that are prescribed by the regulations to be professional services related to construction work for the purposes of this Act. (ii) services prescribed by the regulations to be on-site services related to construction work for the purposes of this Act. (4) The regulations may prescribe goods, professional services or on-site services that are not related to construction work for the purposes of this Act. (c) The Principal’s ability to pay. A Payment Claim is the document that establishes the Contractor’s (or the Principal’s) entitlement. The party that submits the Payment Claim is the Claimant. The subclauses foregoing does not prevent the amount claimed in a progress claim from being an aggregate of amounts calculated under one or more of subclause (a), (b) and (c) of that subclause. A Payment Claim can be ‘given’ by post, fax, email or hand-delivery. What do I do if I receive a Notice of Dispute which indicates I am going to be paid less than I have claimed? You have 90 days to have your Payment Claim adjudicated under the Act by lodging an application for adjudication. Day 1 is the day after the Principal (or the Contractor) has provided the notice of dispute. What do I do if I did not receive a Notice of Dispute? The Principal is to pay you in accordance with the contract or 28 days after receiving the Payment Claim. If you are not paid then that is a ‘Payment Dispute’ which can be taken to adjudication within 90 days after the dispute arises. What do I do if I received a Notice of Dispute but did not get paid the amount indicated? How do I make an application for adjudication? You will need to prepare a document that convinces an adjudicator that you are entitled to the amount that you have claimed. The application for adjudication must include a copy of the contract, a copy of the payment claim and all the information required to prove your entitlements. Your application for adjudication must be served on the other party. Your application for adjudication must also be served on the Adjudicator (if one has been appointed by the parties normally in the contract) or a ‘Prescribed Appointer’. Some of these are listed on the useful information and links page. Adjudication under the Act is not like a court. In the Australian Model (adopted in most of the other states in Australia ) the adjudicator is nominated by an Authorized Nominating Authority that was selected by the Claimant. (c) Otherwise by a Prescribed Appointer chosen by the party making the adjudication application. The Adjudicator has nominally 20 working days after you have commenced the adjudication process to provide their determination. The Adjudicator will determine when you are entitled to be paid the adjudicated amount. Does the Principal get to respond to my Application for Adjudication? The Principal is entitled to provide a response to the application for adjudication. You need to wait until after the due date for payment provided in the determination has passed. Then if you have not been paid you can apply to a court to have your determination enforced. If you have not been paid in accordance with a determination you can issue a ‘Notice of Intention to Suspend’ under the Act. 3 days after that notice is issued you may suspend work. If you are paid you must recommence work within 3 business days. If you are asking this question you need to discuss this with somebody. However, the Act in NT is relatively new and while it is different to the other states which use the ‘Australian Model’ there are certain tricks which Principal’s may use that may trap or trick inexperienced Contractors.